This is .380 Auto PMC 90gr. 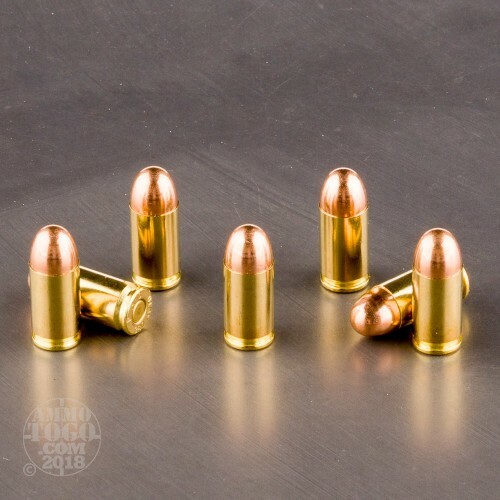 Full Metal Jacket Ammo. 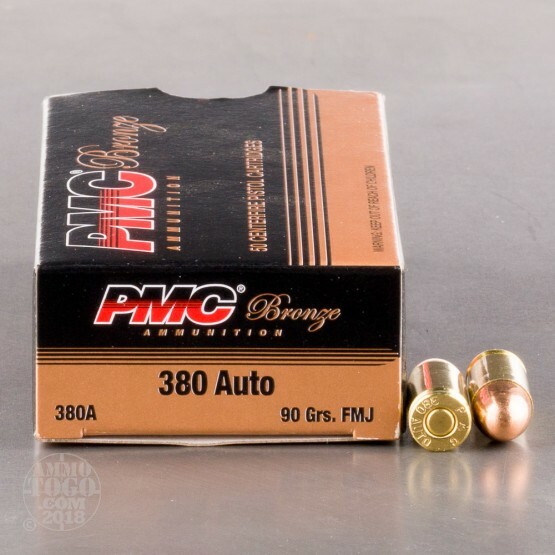 This ammo is brass cased, boxer primed and 100% non-corrosive. 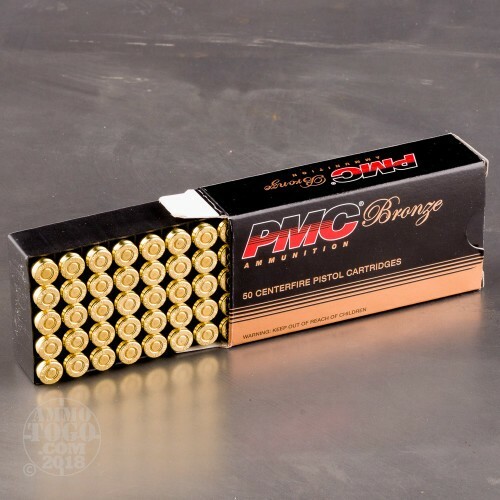 PMC has offered quality ammo for many years and still remains a strong competitor in the target ammo arena. 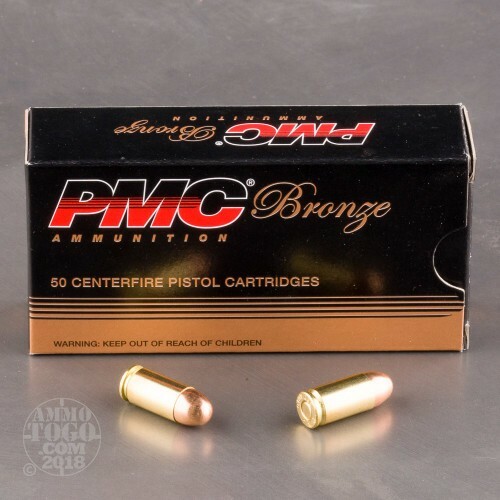 This is premium quality target ammo at an affordable price. It is packed in 50rd. boxes.